During her childhood, Latifah sang in the Shiloh Baptist Church choir and performed the song ‘Home’ in a high school production of ‘The Wiz’. She had lessons from her father in karate and the use of firearms and played power forward in the Irvington Public High School girls’ basketball team, leading them to two New Jersey state championships. Whilst still at school and after a brief stint of working part-time at Burger King, Latifah decided instead to pursue her love of rap. She began her music career by forming the all-girl rap group Ladies Fresh with two of her friends, Tangy B and Landy D. Latifah provided the human beat boxing whilst the other two rapped. The vibrant group entered talent shows and made various public appearances. They were noticed by a local disc jockey, which led to a contract for Latifah with Tommy Boy Music in 1988. Going solo, she was 18 when her debut single ‘Wrath of My Madness’ (1988) was released. A year later her debut album ‘All Hail The Queen’ (1989) received critical acclaim and covered issues such as apartheid, poverty and women’s rights. Hits included ‘Ladies First’, ‘Dance for Me’ and ‘Wrath of My Madness’. In 1989, she also went on a European tour and appeared at the Apollo Theatre in Harlem. Following her graduation from Irvington High School and by the time she had entered the Borough of Manhattan Community College, Latifah’s first two single releases had sold 40,000 copies. Her star was on the rise and her follow up album, ‘Nature of a Sista’’ (1991), once again showcased her mixed style of rap, R&B, jazz, reggae and soul. Here was a wise young woman, turning the misogyny in her male counterparts’ music on its head, whilst delivering soulful music and incisive rhymes with her strong voice. Having already appeared on the small screen as a musical guest in an episode of the television series ‘In Living Color’ (1990), Queen Latifah’s debut role on the big screen was the small part of Lashawn in Spike Lee’s film ‘Jungle Fever’ (1991), with Wesley Snipes, Samuel L. Jackson, Anthony Quinn and Halle Berry. Other acting roles soon followed, with the parts of Zora in the comedy ‘House Party 2’ (1991) and Ruffhouse MC in the action thriller ‘Juice’ (1992), set in the ghettos of Harlem with Tupac Shakur and Samuel L. Jackson. 1992 brought great sadness when Latifah’s policeman brother, Lance Owens, was killed in an off-duty motorcycle accident. She had bought the bike for him as a gift and was devastated by his death, falling into a serious bout of depression and drug abuse, from which she subsequently recovered. She still wears the bike key around her neck. When Tommy Boy Music did not renew her contract, Latifah moved record labels to Motown and released her third album ‘Black Reign’ (1993) which she dedicated to her late brother. The album was a huge success and produced the hit single ‘U.N.I.T.Y.’, for which she won the 1994 Grammy Award for Best Rap Solo Performance. In a review of the album in November 1993, Q magazine wrote, “…out of a sea of bland and repetitive rap albums currently nailing the coffin shut on the legacy of funk comes a welcome life raft of sanity…”. In April 1994, Latifah was nominated as solo artist of the year at the First Annual Hip-Hop Awards but lost to Snoop Doggy Dogg. At the Soul Train Music awards in 1995, she won the Sammy Davis Jr. Award for Entertainer of the Year. By the mid 1990s, Latifah had become associated with the Native Tongues, an informal consciousness raising rap network, speaking out against violence, particularly in rap music. Other groups involved include Tribe Called Quest, De La Soul and Jungle Brothers. Having already established herself as an entertainer, she went on to create Flavor Unit Management, a recording management company in Jersey City, with partner Shakim Compere. Latifah is Chief Executive and the company has managed a number of rap artists and groups, using Motown as a distribution channel, including LL Cool J, N.E.X.T. and Outkast. Moving to television work, Latifah starred as Khadijah-Jones in her hit show ‘Living Single’ (1993-1998). This necessitated the setting up of another home base in Los Angeles, for the taping of the show, which took up a large part of each year. However, she kept her house in Wayne, New Jersey, which she will always consider her true home. She performed at the American Music awards in January 1995 and the following year, played tough lesbian bank robber, Cleo Sims in action/thriller ‘Set It Off’ (1996), with Jada Pinkett Smith, Vivica A. Fox and Blair Underwood. Latifah also recorded the title sound track of the film with Organized Noize. The role of Cleo led to public speculation on Latifah’s real-life sexuality but her response was that she would always keep her personal life private and her sexual persuasion was of no-one’s concern but her own. She also maintains that she will never sacrifice her self-worth for money. In January 1997, she was nominated for two Image Awards, including Best Actress in a Motion Picture for her role as Cleo. Next she had a small role as Sulie in ‘Hoodlum’ (1997), another Harlem gangster movie starring Laurence Fishburne, Tim Roth, Vanessa L. Williams and Andy Garcia. Latifah then starred as Alice ‘Teeny’ Fletcher in the Barry Levinson science fiction/thriller ‘Sphere’ (1998) with Dustin Hoffman, Sharon Stone and Samuel L. Jackson. Returning to her music after a hiatus of five years, Latifah released her eagerly awaited fourth album ‘Order in the Court’ (1998) on her own label, Flavor Unit. The album, filled with edgy grooves, sultry singing and musical variety, produced the explosive hit single ‘Bananas’ with Apache and she worked on other tracks with the likes of Kay Gee, DJ Clark Kent and Diamond D. Latifah proved to her audience that whilst she may have been quiet for a while, the Queen still ruled. Playing jazz singer Liz Bailey in ‘Living Out Loud’ (1998), co-starring Danny De Vito and Holly Hunter, Latifah was nominated for 2 NAACP Image Awards for Outstanding Supporting Actress in a Motion Picture. The soundtrack featured three jazz standards sung by Latifah: ‘Lush Life’, ‘Goin’ Out of my Head’ and ‘Be Anything (But Be Mine)’. Her role as Diana in the television drama ‘Mama Flora’s Family’ (1998) brought her a nomination for Outstanding Actress in a Television Movie/Mini-Series/Dramatic Special. The following year, Latifah was Thelma in the chilling thriller ‘The Bone Collector’ (1999), with Denzel Washington and Angelina Jolie. She provided the voice of Dispatcher Love in Martin Scorsese’s ‘Bringing Out the Dead’ (1999) starring Nicholas Cage and Patricia Arquette. Always keen to try her hand at new endeavours, she then launched her own daytime television talk show, ‘The Queen Latifah Show’ (1999) covering social issues, news events and celebrity happenings. In her first foray into writing, she published her book ‘Ladies First: Revelations of a Strong Woman’ (2000). Both autobiographical and inspirational, it is about making tough decisions and bad mistakes but most of all, about being confident and ‘keeping it real’. Also on a humanitarian level, Latifah joined K.D. Lang, George Michael, the Pet Shop Boys, Garth Brooks and Melissa Etheridge on 29 April 2000 to perform in Washington DC at the Equality Rocks benefit concert for the gay and lesbian human rights campaign. 2002 was a busy year for Latifah, with the release of four films, her fifth album ‘She’s the Queen: A Collection of Hits’ (2002) and her second book ‘Stay Strong: Simple Life Lessons for Teens’ (2002) with Terrie Williams about ambition, pride, attitude and strategies for achieving any goal, without the need to conform. She was the voice of Cha-Cha in the family musical ‘The Country Bears’ (2002), Francine in the romantic comedy ‘Brown Sugar’ (2002), she provided voice in Roberto Benigni’s ‘Pinocchio’ (2002) and played Matron Mama Morton in ‘Chicago’ (2002) which starred Taye Diggs, Catherine Zeta-Jones and Rene Zellweger. She was also on the movie soundtrack with Lil’ Kim and Macy Gray in the song ‘Cell Block Tango’. Receiving three award nominations for ‘Chicago’ (2002), she unfortunately did not win any of them. They were for an Academy Award for Best Supporting Actress, a Golden Globe Award Best Supporting Actress and a Screen Actors Guild Award for Best Supporting Actress. She did win a SAG Award, along with the rest of the cast for Best Ensemble for ‘Chicago’ (2002). Without slowing down, she played Charlene Morton in ‘Bringing Down the House’ (2003) a refreshing comedy with Steve Martin and a big box office success. She was also co-executive producer and hip-hop slang coach to her co-stars Steve Martin and Eugene Levy and won the 2004 Image Award for Outstanding Actress in a Motion Picture. Following that, she had the small role of Aunt Shaneequa in horror spoof ‘Scary Movie 3’ (2003) and went on to win the 2003 BET Award for Best Actress. Next up was a year of dabbling in a mixture of film, television and singing. Latifah was Gina in the comedy ‘Barbershop 2: Back in Business’ (2004). She had a small part playing a security guard in a comedy directed by Lance Rivera, ‘The Cookout’ (2004), which she also co-wrote and produced with Shakim Compere. In September, Latifah released her sixth album ‘The Dana Owens Album’ (2004), receiving a Grammy Award nomination for Best Jazz Vocal Album. In October she starred as Belle, the mouthy, feisty cab driver in ‘Taxi’ (2004) with Jimmy Fallon and Henry Simmons. She then hosted and performed on the ‘Saturday Night Live’ television show in October 2004. In the comedy ‘Beauty Shop’ (2005) she starred as Gina, a hairstylist who opens her own beauty shop, alongside Alicia Silverstone and Andie MacDowell. Latifah published her third book ‘Queen of the Scene’ (2006) illustrated by Frank Morrison, a celebration of spirit, pride and girl power. The adventure comedy ‘Last Holiday’ (2006) had her playing Georgia Byrd, with co-stars LL Cool J and Timothy Hutton, to critical acclaim. She then provided the voice of Ellie, the female mammoth in the animated adventure ‘Ice Age 2 : The Meltdown’ (2006) and starred with Will Ferrell, Maggie Gyllenhaal, Dustin Hoffman and Emma Thompson in the romantic comedy drama ‘Stranger Than Fiction’ (2006). Teaming up with John Travolta, Billy Crystal and Michelle Pfeiffer, Latifah went on to star as Motormouth Maybelle in 2007 hit ‘Hairspray’, a musical comedy set in 1962 Baltimore. The movie was a box office success and led to a NAACP Image Award nomination for outstanding supporting actress for Latifah. The same year also saw the release of ‘The Perfect Holiday’ in which she starred and also served as producer. In 2008, Latifah appeared in three movies, including ‘Mad Money’, a comedy-crime collaboration with Diane Keaton and Katie Holmes, and ‘What Happens in Vegas’, starring Cameron Diaz and Ashton Kutcher. A Black Reel Award for Best Actress came her way following her role in the drama ‘The Secret Life of Bees’, which received mixed reviews and performed relatively well at the box office. ‘Ice Age: Dawn of the Dinosaurs’ (2009) saw Latifah reprise her voice role alongside Ray Romano in the 3D computer animated film, which went on to become the third highest grossing animated film of all time after a successful box office run. She followed this with roles in 2010′s ‘Valentine’s Day’ and ‘Just Wright’ and kicked off 2011 with an appearance in ‘The Dilemma’. Latifah is due to appear once again in ‘Ice Age: Continental Drift’, which is scheduled for release in 2012. Queen Latifah’s friendliness, honesty, empowering lyrics and dedication to both her craft and her audience, have contributed to making her one of the most well-known and respected female rappers in the industry. Whilst shying away from labels, her strongly voiced personal beliefs in social responsibility, her feminist ideals and her stance on non-violence, have made her into a somewhat of a role model, particularly in redefining how women in the world of hip-hop are viewed. She has also proved herself to be a talented television and film actress, an astute label president and artist manager, an author, an entrepreneur and a talk-show host. Another outlet for her unending talent is as spokesperson for Cover Girl cosmetics and Curvation ladies underwear, for which she has starred in several adverts, as well as being a spokesperson for Pizza Hut. Having built herself into a one-woman entertainment empire with strength, unending enthusiasm, versatility and panache, she is certainly a force to be reckoned with and a continually rising star to be closely watched. Do you want to hire Queen Latifah? Directly request a quote. In 48 hours we can send you the availability of Queen Latifah If you would like to book Queen Latifah, Entertainment Booking Agency is the right place. 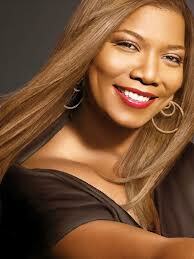 We will offer you the best price and contact the management or we directly contact Queen Latifah. For corporate appearances or speaking engagements you can contact our agents and the will help you true the process. Tags: hire Queen Latifah, Queen Latifah booking, book Queen Latifah, Queen Latifah appearances, find more information on booking Queen Latifah for appearances, Queen Latifah speaking engagements, Queen Latifah endorsements/spokesperson, Queen Latifah appearance fees, Queen Latifah booking agency contact info, biography of Queen Latifah, Contact an artist booking talent agent find a speakers bureau that can book Queen Latifah, speaker booking agency for Queen Latifah, Queen Latifah booking agency, Queen Latifah booking for corporate event. EBA is one of the biggest entertainment booking agencies in the World. We book hundreds of celebrities, artist, athletes and speakers in a year. Important to know is that we are not claiming to be the management of Queen Latifah. We are not the official agent for Queen Latifah. Companies from around the globe book these artists and speakers true our company be course we have one of the biggest networks and we always have direct contact with the artist or the management. We help you to find the right celebrities for your corporate of private events. Please contact one of our agents to get free advice and we will help to get the world-famous artist on your party.